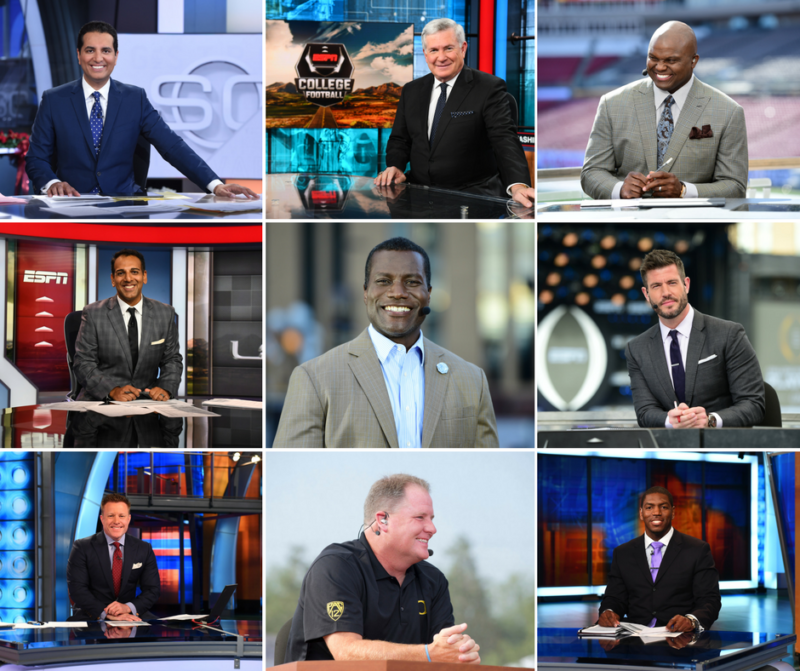 College football fans will be entertained and informed by new personalities across ESPN’s studio coverage on Saturdays this fall as the company revamps the ABC, ESPN and ESPN2 pregame, halftime and postgame commentator lineup to include former first-team All-American Booger McFarland, SEC Champion quarterback Jesse Palmer and AP College Football Coach of the Year Chip Kelly as analysts. 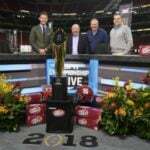 McFarland adds ABC studio work to an already extensive list of experiences during his three-year tenure at ESPN as the former LSU First Team All-American teams up with national championship-winning head coach Mack Brown to be the network’s analysts. SportsCenter anchor Kevin Negandhi, who has hosted numerous marquee events over his ESPN career, will host the three-man network studio coverage. McFarland’s ESPN career was launched with SEC Network, as the former NFL Draft first round pick has regularly appeared on the platform’s studio coverage for the last three years, while simultaneously growing his profile across other ESPN entities including SportsCenter, College Football Live and Mike & Mike, where he has co-hosted in addition to being a regular guest. Negandhi, a proud Temple University alum, has anchored telecasts from the Women’s Final Four, Scripps National Spelling Bee and the Special Olympic Games over the last two years, adding to his expansive studio experience which also includes multiple SportsCenter Veteran Day specials around the world. Throughout his career, the Pennsylvania native has been a regular for viewers on a variety of studio shows, most-notably regular editions of SportsCenter, including SportsCenter:AM, College Football Live, NBA Tonight, NFL Live, Baseball Tonight and Outside the Lines. He has also covered multiple major sporting events, including the College Football Playoff, Super Bowl, World Series and the NBA Playoffs. Negandhi’s role on ABC was occupied by John Saunders for many years prior to his passing before last season. Brown enters his fourth season as a studio analyst on ABC. ESPN has signed Jesse Palmer to a new contract, as the former Florida Gator quarterback shifts to being a regular studio analyst this season after calling ESPN’s Thursday night prime time game for nearly a decade and SEC Saturday Night on SEC Network for the previous three years. Palmer will team up with fellow analyst and former Big Ten first team wide receiver Joey Galloway and versatile anchor Adnan Virk in the ESPN studio on Thursdays, Fridays and Saturdays this season. Palmer will continue his work on ABC’s Good Morning America and Galloway will also be a regular on the Bristol, Conn., campus throughout the season, contributing to a number of shows. 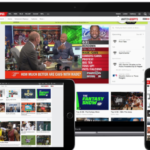 Former Oregon head coach Chip Kelly will join ESPN2’s studio coverage on Saturdays, while also appearing on SportsCenter on Fridays and Sundays offering insight to college and NFL games, as it was announced in May. Kelly, a coach with nearly 30 years of experience at multiple levels of football, is considered one of the most innovative football minds of our generation, justified by his 46-7 record including victories in the Rose Bowl Game and the Fiesta Bowl and earning a trip to the national championship game as head coach of the Ducks (2009-12). During that time, the New Hampshire native compiled a conference record of 33-3, including winning the Pac-10 in 2009 and 2010, and the inaugural Pac-12 Championship in 2012. In 2010, he won four different coach of the year awards, including the aforementioned AP College Football Coach of the Year. In 2009, he won the Pac-10 coach of the year, his first of two such honors. Overall, Kelly has coached 24 years at the collegiate level, including two years as an offensive coordinator at Oregon before he became the head coach. Kelly will work with former Miami first team All-American and national champion Jonathan Vilma and host Chris Cotter each Saturday. Vilma enters his second year with ESPN and will continue to appear on a number of ESPN shows throughout the week.